Repairs and Servicing of Commercial Espresso Machines. Repairs and Servicing of Professional Dishwashers. Installations of New and Used Equipment. Boiler Inspections (Pressure Systems Safety Regulations 2000). Factory trained and approved engineers for several leading brands. We offer service and repairs on all Makes and Models of Espresso machines, Coffee Grinders, Glass/Dishwashers and Ice Makers. We understand that your Espresso Machine can be the main source of income and any down time can be costly, we can work with you to minimise any problems that may arise and we’re fully qualified and experienced in all areas. We’ll service the steam/hot water valves, fit new filter washers and shower plates in group heads, descale or replace water level probe, check test and reset drink/coffee measures, all performed on site to keep your machine running to its full potential. This includes a front end service, complete boiler descale, new safety valve, element, group solenoids, air release valve, level probe, chassis cleaned, re-built, pressure tested and re-commissioned, performed off site, with a loan machine whilst you wait. All of our engineers carry a wide range of spares to ensure a first time fix, if for unfortunate circumstances parts need to be ordered then a loan machine can be provided, if a first time fix is not possible and parts have to be ordered then you do not incur any additional charges. We can modify your existing equipment to include things such as fast froth systems, or superior temperature control. Whatever your requirement we can provide a quote. A complete removal of limescale build up, a full cleaning solution. A full boiler inspection, to the Pressure Systems Safety Regulations 2000 standard. Find out more below. We can provide you a quote for a service contract of your existing machine after inspection, or provide a quote for a new machine service contract. We can perform water testing, annual exchanges and provide advice on water treatment. Did you know that your espresso machine should comply with statutory regulations of the Health and Safety at work act 1974? Pressure Systems Safety Regulations 2000 (PSSR 2000) state that any pressure vessel should be periodically examined in accordance with a ‘Written Scheme of Examination’ by a competent person. The approved code of practice (ACOP) gives guidance to the requirements of a competent person. i) testing the mechanical safety device operates correctly in the case of an emergency or malfunction. ii) internally inspecting the condition and integrity of the steam/hot water boiler. iii) examining pipework and pipelines. All espresso machines details i.e. serial numbers, makes, models are listed, mechanical devices are tested against calibrated gauges. 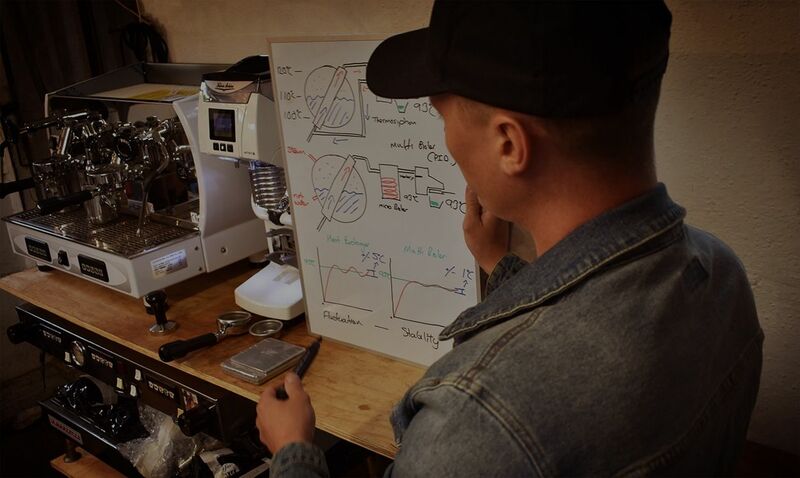 Urban Espresso’s engineers will only work with machines of which we have extensive knowledge and obtain manufacturers specifications such as designed boiler temperatures, max pressures and max working pressures. Whether you’ve hired new staff, a beginner yourself or even if its just to brush up on your technique. We will assist you on a half day training course where we will go through the theory of a perfect espresso how to adjust your grinder and Espresso machine (if required) in order to achieve this, frothing techniques, drink varieties and drink preparation in order to keep a good standard of service within your business. If your catering equipment or espresso machine needs some TLC, give us a call today!